Congratulations! Our winners will each receive a free ticket to the Connectivity Conference next Friday, and will be recognized for their innovative and creative approaches to education to the hundreds of participants who are attending. Additionally, we will feature each of our winners with their own post in the upcoming weeks. 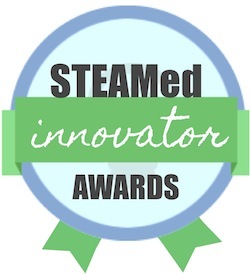 All of our semi-finalists and finalists will receive an online badge for their valuable contributions to the field of education, the Arts and STEAM practices. We invite you to review their websites as a continual resource to add to your teaching toolbox. Congratulations to all!